What is the warranty on my repipe? The warranty begins on the date of final payment of the contract. AquaTek Plumbing, Inc. guarantees against defects of workmanship for (10) years on all copper water piping that we supply and install. A one-year warranty is given on all valves, pumps and fixtures that we supply – materials and workmanship included. Warranty is valid provided that failure occurs within (10) years from the date the warranty begins and the Homeowner or homeowner representative promptly notifies AquaTek Plumbing, Inc. of failure in writing; mail to: P.O. Box 23271, San Jose, CA 95153, via email to info@aquatekplumbing.com, fax to 408-295-7787 or by calling 408-295-7767. 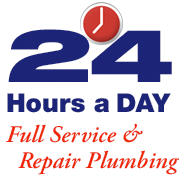 AquaTek Plumbing, Inc. will correct that failure by repairing or replacing the Product within a reasonable amount of time, without charge; the decision for repair or replacement shall be that of AquaTek Plumbing, Inc.
caused by, contributed in whole or in part by, or resulting from abuse, such as, without limitation vandalism.